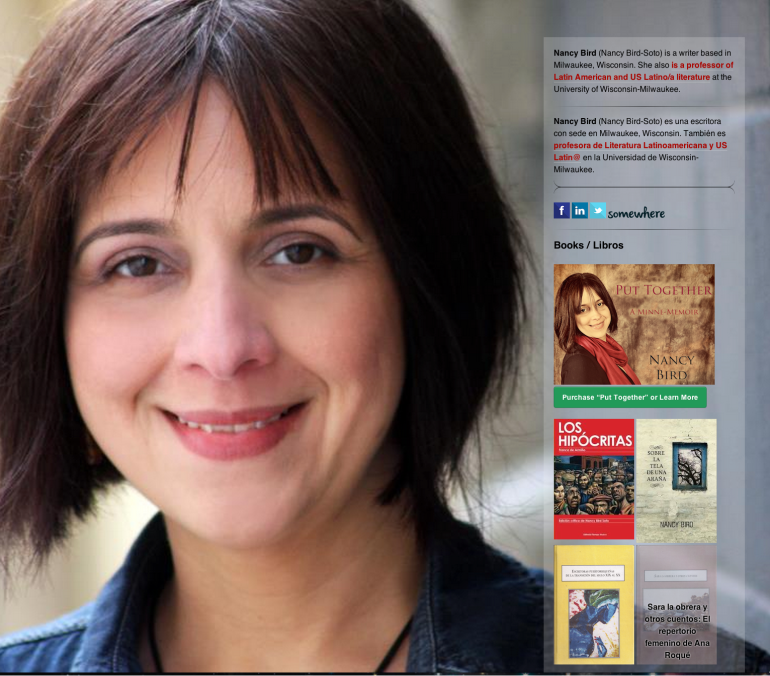 Immediately pri­or to the pub­li­ca­tion date of author Nancy Bird’s fifth book, she approached me to secure a web domain, cre­ate a place­hold­er page and begin to build the online com­po­nent of her brand as a Latina author. I cre­at­ed NancyBirdAuthor.com to meet her ini­tial needs and cur­rent­ly am work­ing on the more com­pre­hen­sive site. This sample originally was published to portfolio.kevinabarnes.com on July 22, 2014.